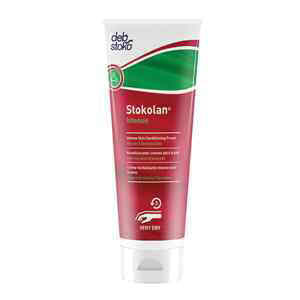 Catalog: Stokolan® Intense Replenishing Cream 100 mL tube. Stokolan® Intense Replenishing Cream 100 mL tube. A highly concentrated silicone-free conditioning cream, it contains grape seed oil, ceramide complex, allantoin, ginkgo biloba, urea, and bees wax. It also contains a high amount of lipids, reducing water loss and enhancing skin elasticity while replenishing it. 100 mL tube.